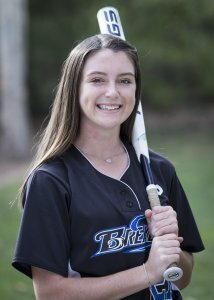 Paige hit 12 home runs as a freshman at Rancho Buena Vista (San Diego) High, which was second best in all of California for her class. Here she's seen playing for Breakers Labs club team last year. Imagine you’re a young softball with dreams to play in college and someone in a position of influence says you’re not good enough to play at the next level. Would it make or break you? 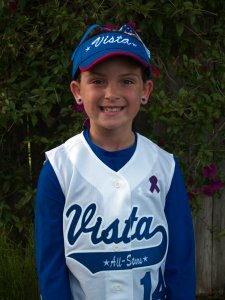 A young Paige when she played for the Vista All-Stars. That happened to Paige Dimler, the super sophomore from San Diego who had to decide if that non-vote of confidence would prove to be prophetic. “For a while that really had me wondering if I should even keep playing,” she remembers. “But I told myself that I can do anything I put my mind to. 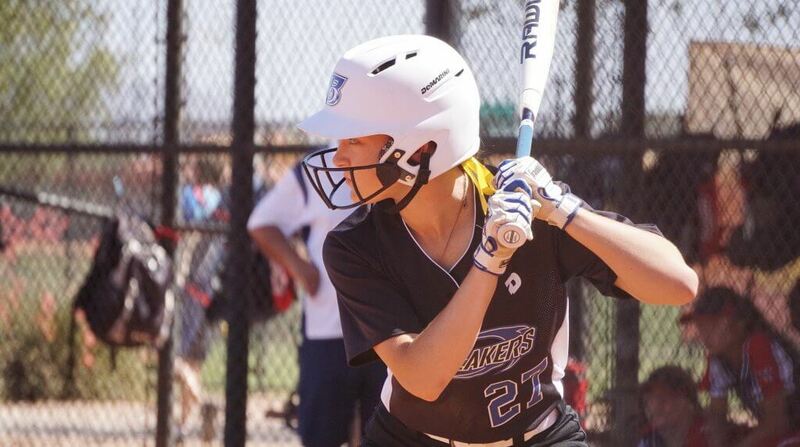 And with that determined self-drive, the speedy outfielder became one of the most promising players in the Class of 2021, an offensive weapon who can slap for average and power and surprised many by slugging 12 home runs as a freshman last spring. Stats (2018): high school: hit .460 with 12 home runs and 39 RBI; club: hit .467 with 22 home runs, 15 doubles and 10 triples with 44 RBI and 76 runs scored. I am extremely honored and humbled to be considered one of the top 100 players in my class. It is such a blessing to be afforded such humbling experiences. I am always pushing myself to be better than the day before, so this makes me extremely happy to know that my hard work isn’t going unnoticed. 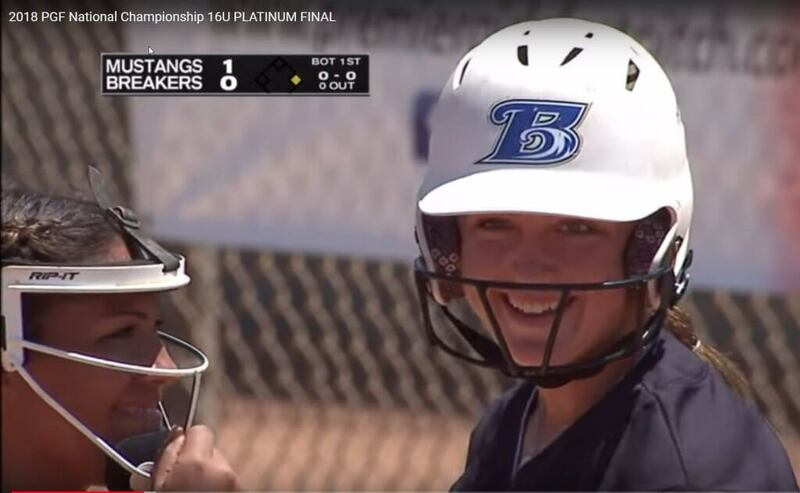 Paige enjoying another big moment in a high-pressure game, playing on ESPN during last summer's PGF 16U Platinum championship against the Tampa Mustangs. My favorite high school experience would be when I hit a home run in the 7th inning of the last game of playoffs although, by far, I’ve had the best experiences in travel ball. My favorite memory from club is when we were in the loser’s bracket in Colorado and it was the last inning and if we didn’t score, we were going home, and my college coach was watching me. I knew that this was my chance to help my team continue in the tournament and I came up and hit a three-run home run. I was ecstatic that I was able to help my team accomplish our goals. I think that my strengths on the field are being a selfless player who is passionate to learn and improve. I would think that my college coaches would say I don’t accept failure and I never give up. I am always working on my skills to try and get one percent better each day. I am extremely passionate for the sport I love and always want to be the best I can be. I love seeing my teammates have success and want everyone to have their own opportunities to be in the spotlight and be recognized. Their success is our team’s success. What’s your main goal for yourself right now?